For some, the holidays can be a challenge financially. Here are six great ways to make sure you stay on track with your budget. 1. Get free shipping – Every December there is a free shipping day with approximately 1000 merchants with delivery by Christmas Eve. Visit freeshippingday.com for more information. 2. Plan for the extras – Remember to factor in postage and gift wrap when purchase gifts. Don’t forget tape too! Also, a great way to save on wrapping paper is to buy after the holidays for next year. 3. Get discount gift cards – Check out Gift Card Granny or Plastic Jungle to buy gift cards for less than their face value. 4. Pay with cash – It is easier to track your spending when you use cash and it keeps you from overspending because when you’re out of cash, you can’t buy anything more! 5. Chart your spending – Write down each person you want to buy a gift for. Whenever you have purchased a gift for someone, write the item and price next to their name. This helps you remember who you have already bought a gift for as well. 6. 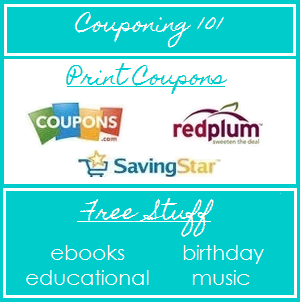 Follow Couponing to Christmas – Coupon to Christmas with me by clicking on the Couponing to Christmas icon on my sidebar to the right to see all of the great gift deals! Target has released a Holiday Price Match policy that is valid from November 1st through December 24th. You can read the full policy here. There are some black out dates to the policy: November 27th through December 1st. This means you can’t buy an item now and price match it during these dates. You have to brave the crowds with the rest of us if you want those Black Friday prices! While I believe this is a great way to get all your shopping done at one place, always make sure to read the fine print to make sure the items you purchase will qualify if you see a lower price later. About a month ago I stumbled upon a website called Daily Feats. The idea behind Daily Feats is to reward yourself for daily tasks. Did you floss today? 3 points! Did you say no to soda? 1 point! Did you make the bed? 2 points! Daily Feats believes you should be rewarded for everyday tasks! The great part? You can trade in your points for rewards! These rewards can be discounts to local restaurants, stores, and services, or gift cards to mass retailers such as Safeway, Best Buy, and Toys R Us. I just redeemed some of my points for a $10 Safeway gift card! 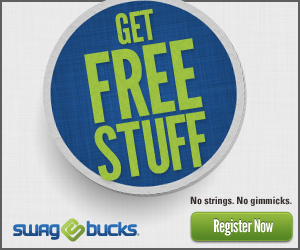 Get started earning now!